well, it’s actually month 1 + a day. i’m on the train, all geeked out with my laptop and mobile air card and ipod and bleary glazed eyes. i’m getting into a routine. i know for sure because the guy at the shine deli knew what i was going to order this morning. plus which, he smiled at me as if he remembered me. i like that in a corner deli. it’s been a good month. we’re in an office near union square. fred wilson is in our office building. i haven’t met him yet, but i’ve been threatening to ride the elevator up and down and up and down until i do, um, accidentally meet him. he’s a techebrity. and i like his taste in music. and he’s smart. and it would be kinda cool. i know what you’re thinking, but i won’t hit him up for funding. we’re lucky enough to already have some funding. besides, that would be tacky. as opposed to, y’know, my elevator plan. there are just 3 of us so far. until today. it was a big day today. we hired a cto and bought 3 plants for the office. see? i think i might have to name them. we’re stealthy right now, but- to recap – here’s what i can tell you: we have some funding…we’re building something in the news space…our office is near union square…we just hired a cto….we have one plant that needs water every day, another that needs water twice a week, and a third that needs water once a week. 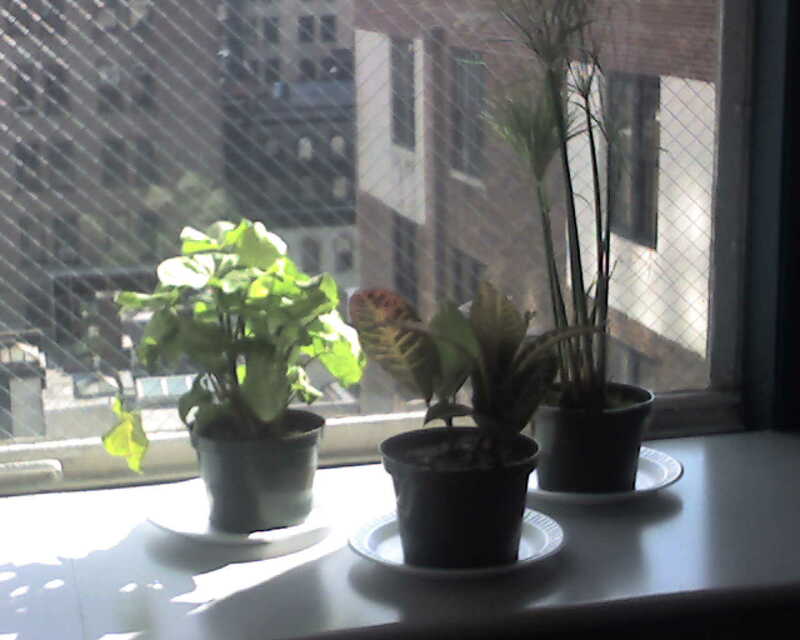 and i can’t remember which is which so take a good look at the office plants now while they’re still green. oh, and i think i’m officially a regular at the shine deli. those are all the facts for now. This entry was posted on August 1, 2008 at 9:21 pm	and is filed under me, tech. Tagged: fred wilson, startup, union square. You can follow any responses to this entry through the RSS 2.0 feed. You can leave a response, or trackback from your own site.